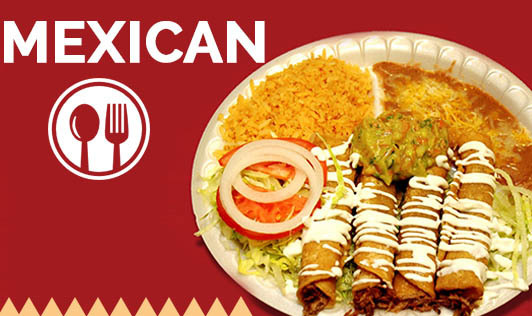 What makes up a Mexican Cuisine? Chilies:They are the first ingredients that come toyour mind when you think of Mexican cooking. There are many varieties of chilies used in Mexican cooking to add flavor to anything from soups, salsas, salads, and more. It is considered as a spice and is used fresh, dried, whole, smoked or powdered. Frijoles or Beans:They are considered to be one of the staple foods and are widely used in many Mexican dishes. They can be eaten plain, added in soups, wrapped in tortillas or just served as refried beans. Here refried doesn't mean fried twice but it means that it is thoroughly fried. Corn: Corn is the key ingredient in all forms of Mexican food. The main purpose of corn is its use in making tortillas, the breads in Mexican kitchen. Tomatillos:Tomatillos are a basic ingredient in Mexican food, and is commonly referred to as ‘husk tomatoes'. Tomatillos, unlike tomatoes have a thin husk that resembles paper. They are best when used as green and not ripe. They are largely used in sauces and soups and other varieties of dishes. Tomatillos are known to bring down the spiciness of hot peppers. Cheese: Mexican food uses different varieties of cheese like Chihuahua, Cotija, Asadero and Panela. These varieties of cheese go well with nachos, burritos, quesadillas, pasta or casseroles. Spices and herbs: Mexican cuisine uses a range of spices and herbs like cumin, cinnamon, vanilla, cilantro, oregano or epazote. This unique combination of spices and herbs makes Mexican cuisine ever interesting.